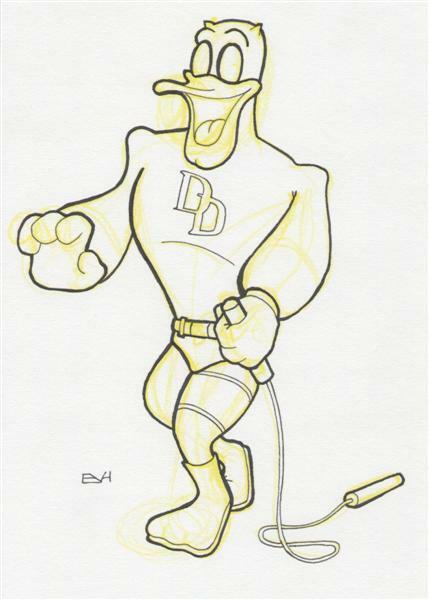 I thought it would be funny if the clumsy daredevil pilot from Disney was the Daredevil hero from Marvel. I bet he would still crash into stuff, even with his heightened senses. These two would be a perfect match for each other. 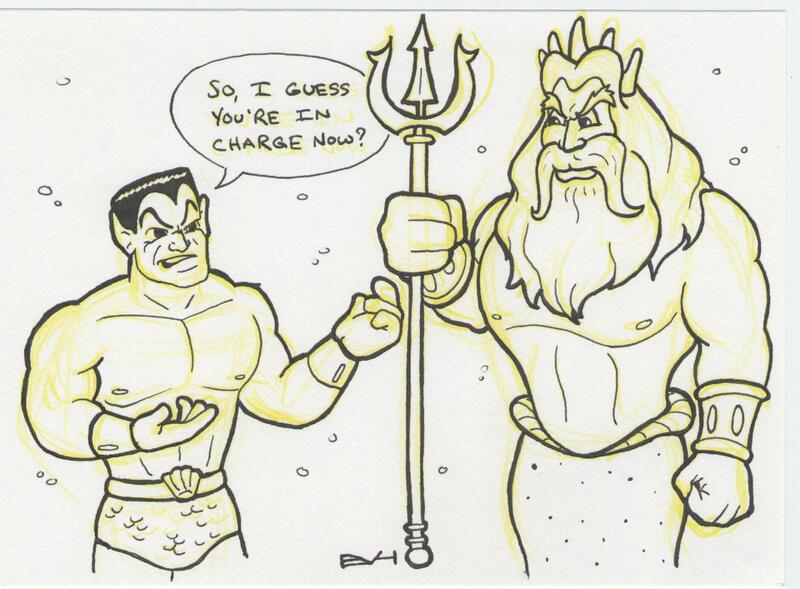 Poor Namor, Disney went and took his whole “Ruler of the Oceans” gig away. 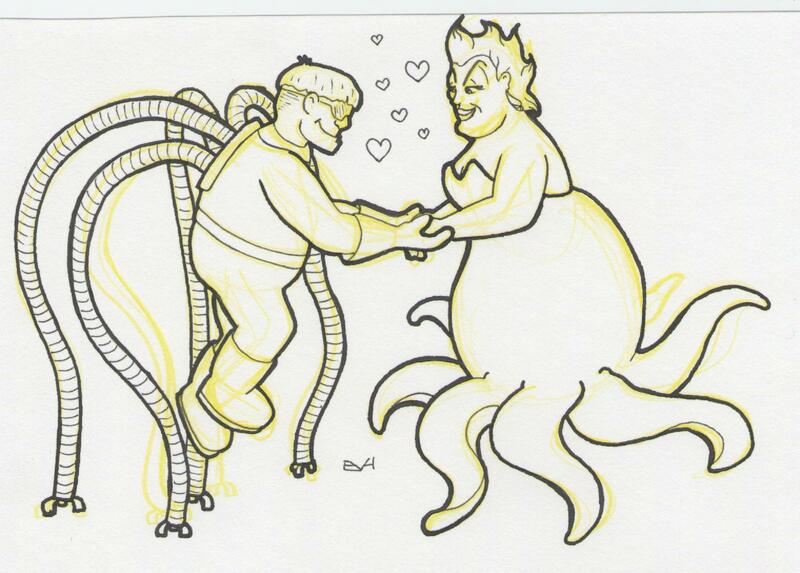 Hopefully King Triton will be able to punish us surface dwellers with the same fury as Namor always did. I wonder if he’ll bring Sebastion along the first time he has to assist the Avengers. 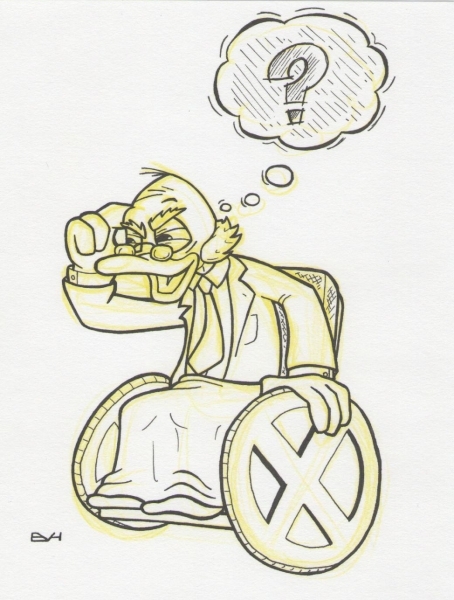 I hope not to offend any wheelchair bound people, but I thought of mixing the somewhat crazy Ludwig Von Drake with the leader of the X-Men Professor Charles Xavier. I don’t think he would make it as a psychic though. Tonight’s mash-up seems a likely combination. 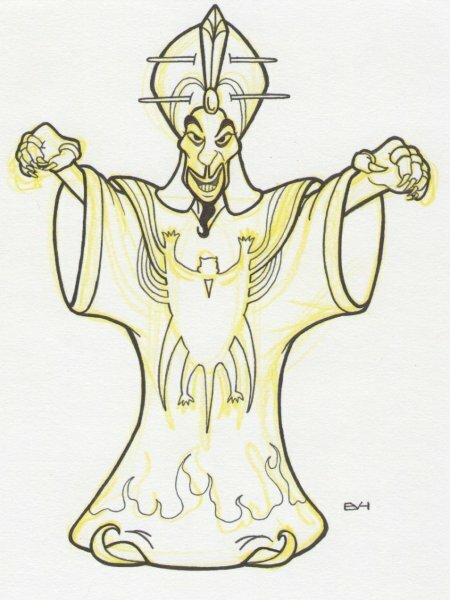 The power hungry sorcerer from Iron Man and Aladdin. It was actually hard to bring out both characters since their appearance is somewhat similar. This is my third Disney/Marvel mash-up. 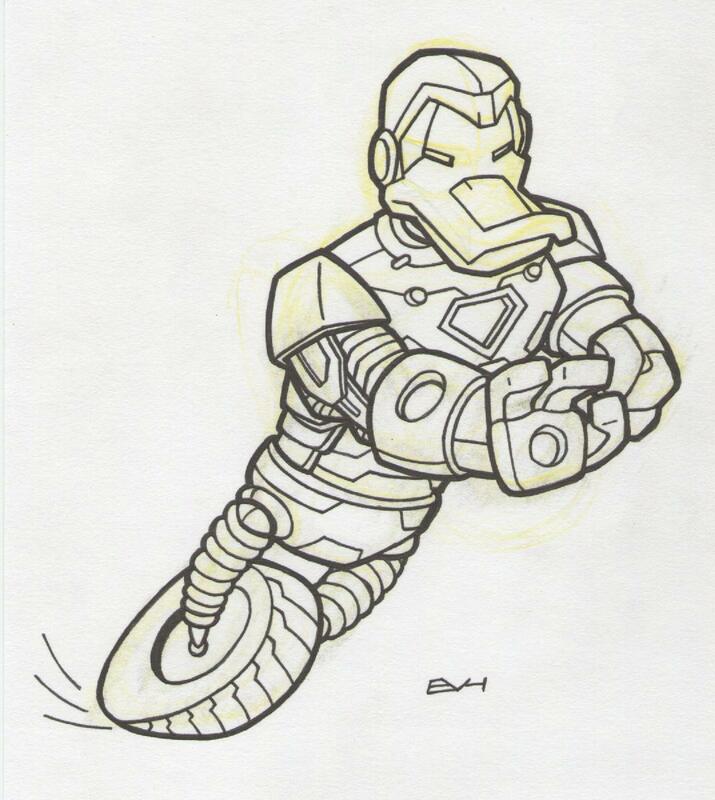 I wasn’t sure exactly what features from each to combine, so I basically used GizmoDuck’s wheel, hands, and duckbill. 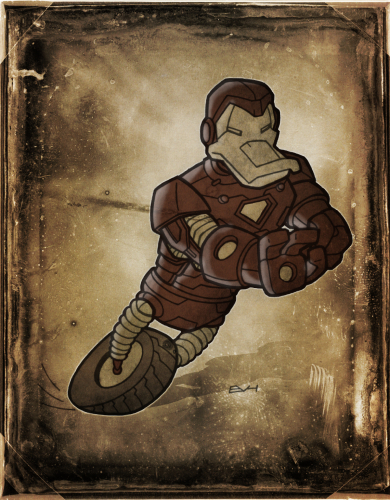 The rest is normal Iron Man stuff. 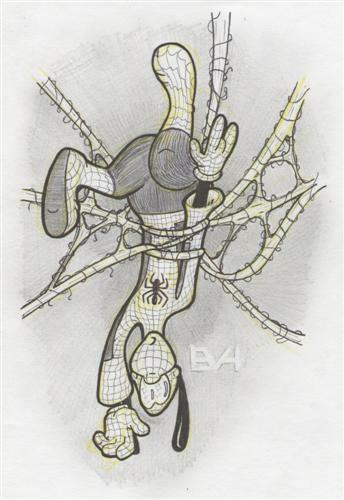 As promised, here’s another Disney/Marvel mash-up, Spider-Goof. 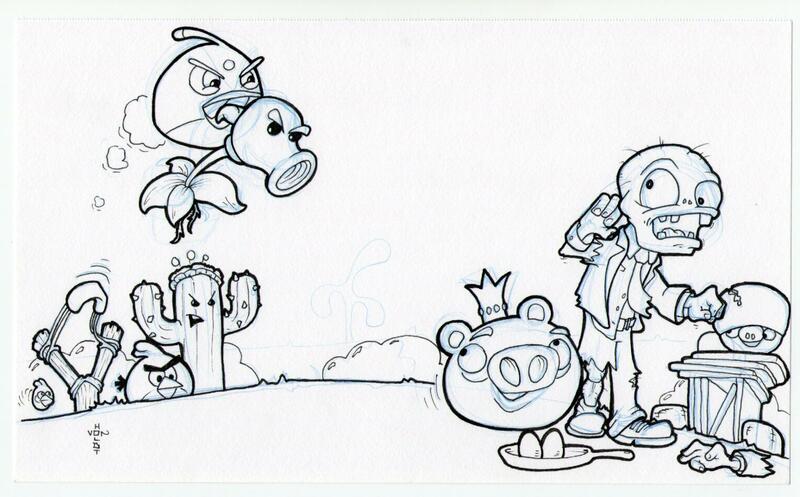 I had a lot of funny drawing in all the webbing, though it would probably look better with some color. I already have a list going of other ideas, so I’ll probably do these all week. 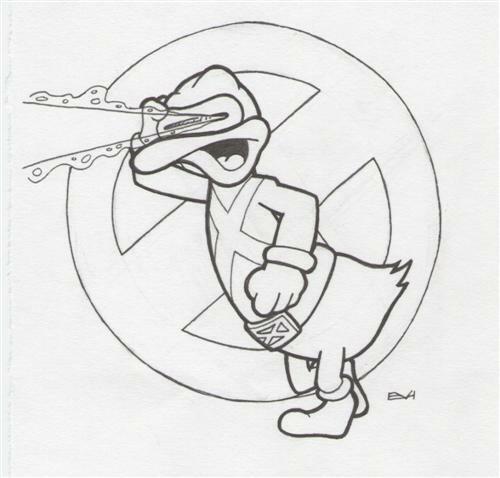 With the news that Disney is buying Marvel Comics, I started thinking of all the crazy mash-ups that could ensue of the two universes. I had already started this other doodle of a lion with a splinter before I heard the news, but I couldn’t resist Donald blasting away. Maybe I’ll do a series. Tomorrow, Spider-Goof!